It was a great show with lots of attention and support. We had the first Chevy Bolt sold in Alabama present; the owner just got it the day before. One lady who was thinking about getting a new Land Rover saw her first Tesla Model X and seemed serious about getting one instead. We had two dealers show their used EVs to show how affordable EVs can be if you buy used. The used BMW i3 got a lot of attention. We learned a lot and planned to make next year even bigger. 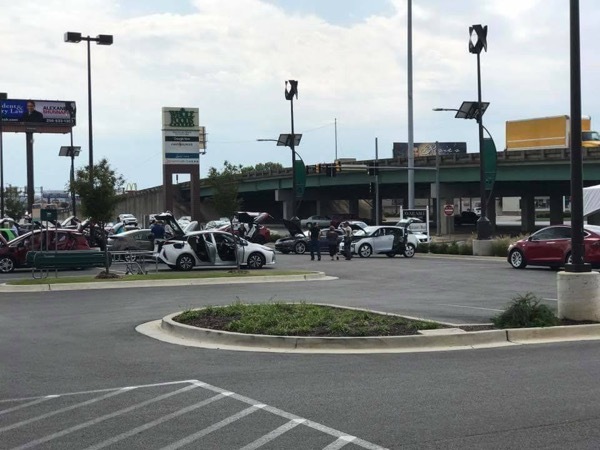 Tennessee Valley EV Drivers will display a variety of current electric vehicles from several manufacturers, with many available for rides and drives. We are planning to hold this year's event at Whole Foods on Memorial Parkway after their great support last year. More details available soon! Registered attendees report 290,402 electric miles driven.